A deep split brim provides plenty of warmth around the ears and neck; however, should the bonnet style not be to your liking, the brim can be folded up and worn as a cloche! 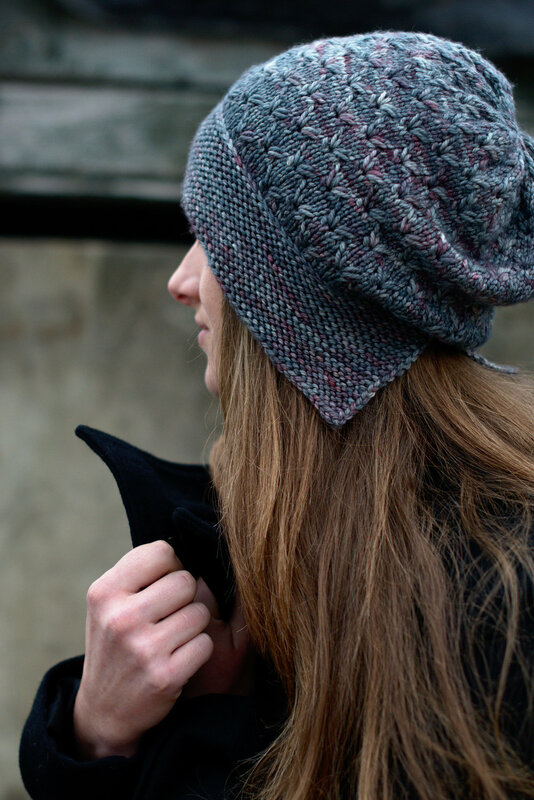 The brim is worked flat with short rows for shaping, and then the body is worked bottom up and in the round. 4 sizes are included and it’s ideal for worsted weight yarns. 40yd/36m for a 6x6in/15x15cm swatch in Garter St.
20 sts x 40 rows to 4in/10cm on 4mm needles over Garter St.